Top 10 things employers should be aware of regarding the recent changes to the Temporary Foreign Worker Program announced on June 20, 2014. 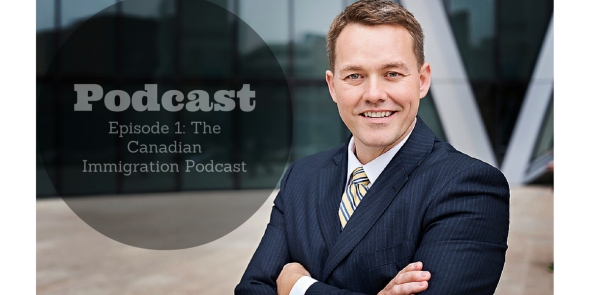 This episode discussed the recent changes to the Canadian Temporary Foreign Worker Program on June 20, 2014. Employment skill level determined by wage versus NOC classification. Cap imposed limiting the proportion of low-wage TFWs at worksites. Refusing applications in areas of high unemployment. Reduced duration and time caps on LMIA based work permits. Cancellation of Provincial LMIA exemption agreements. Transition plans for high-wage positions. Expedited processing of LMIAs for highest demand, highest-paid and shortest-duration occupations. New job match service for employers and Canadian employees. Stronger enforcement will lead to severe penalties for non-compliant employers. Increased fees to support employer compliance and enforcement measures. Learn more about our Canadian legal services and unique fee structure. You can download a complete, word-for-word transcript of this episode, [spoiler]Welcome to the Canadian Immigration podcast number one. My name is Mark Holthe, I’m a Canadian immigration lawyer practicing in the province of Alberta, Canada. In this first episode we are going to discuss some of the recent changes announced by the Canadian government with respect to the foreign worker program. On June the 20th the government released some fairly sweeping changes to the Canadian temporary foreign worker program, which we knew were coming, but really will have a significant impact on how Canadian employers source foreign workers, and also the feasibility of continuing to do so in the future. 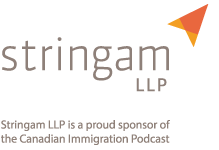 I intend to provide in this episode what I describe as the top ten things employers should be aware of as they continue accessing the foreign worker program in the future. One of the first things that they did was dividing up all the labor market opinion process, and all of the other LMO exempt work permit categories into two divisions. The current LMO program has been changed to now be called the labor market impact assessment process, which much to our satisfaction they didn’t throw the baby out with the bath water. And so the new LMIA process is pretty closely resembled to the old LMO regime. However, the LMIA process will be governed by importance of social development Canada whereas all LMIA exempt — LMIA exempt work permits would be led primarily by Citizenship and Immigration Canada. So in addition to this paradigm shift, we are now looking at a number of other significant changes coming. In the past they have always used the national occupational classification system as the basis for determining whether a position is to be considered skilled in Canada, which carries with it a number of different permanent residence options that are available, or low skill which also has certain benefits and hindrances attached to it as well. Now they have decided to move away from the NOC classification system and go primarily with a wage determination. In the province of Alberta the wage that they have looked at which is the median wage for all positions across the province falls in a $24 and 23 cents per hour. So essentially if your position is at that rate, or higher then it would be considered a high wage or high skilled position in Canada, or at least in province of Alberta. If it falls below that then it’s considered to be low wage. Now there’s a lot of details we have to flush out in terms of how this impacts the eligibility for someone to apply for permanent residence. And if one’s was a position that fell under low skill, but now because of the high wage, bumps into that new category, whether that person is also now able to apply to CIC for a skilled work permit. These answers will be coming in future podcasts, but at this stage we are uncertain. So the first thing as I discussed there is that the employment skill level will be determined by wage versus the NOC classification. The second thing is that a new cap has been imposed limiting the proportion of low wage temporary foreign workers at work sites in Canada. Previously there was no cap as long as employer could show that they could not find Canadians to fill the position. They could then recruit a foreign national to fill these positions, and the food service industry relied heavily on this, as well as the long haul truck driving industry and others to source foreign workers to fill skill gap — skill shortages especially in the province of Alberta. Well, now this is changing as a result of some of the negative media attention the foreign worker program has received over the last number of months. Now the goal for all companies is to reduce their reliance on foreign workers down to no greater than a 10% proportion of their entire workforce. Now they’ve allowed companies to slowly transition away from their reliance on foreign workers, but with some heavy — some long haul truck driving companies where the proportion of foreign workers can exceed 70%, this is going to be very painful for them. Well, as I indicated they have allowed for a transition period, so employers will be expected to transition to 20% by July the 1st 2015, and down to 10% by July the 1st 2016. No new LMOs will be issued to employers that exceed these caps. However, any temporary foreign workers that are currently employed with these companies will be able to continue working out the remainder of their time on their work permits. Now obviously this puts employers in a real difficult position, because they will have to now select who they will keep and who they will let go. The third thing that employers need to be aware of is that any province or area where there’s a 6% or a higher unemployment rate, certain occupations including the accommodation, food service and retail trade sectors, within these regions of high unemployment, will simply not be able to apply for LMIAs to secure work permits for food counter attendance, light duty cleaners, construction laborers etcetera. So you can’t even apply if there’s over 6% unemployment rate in your region. Fourth item that is important to note, is that there has been a reduction in the duration and time caps on LMIA based work permits. So in the past companies were able to obtain two year permits supported by the old LMO system. Now that duration is going to be reduced to one year. Now we don’t know exactly how all of these caps and reductions are going to impact on the old four year cap for low skilled workers, and skill level B workers to remain in Canada continuously. The old rules indicated that once that four year cap was reached which is coming up in April 2015, foreign workers will need to go home. They will not be able to extend their labor market opinions unless they have some other pathway to permanent residence. Well, the problem we face now is that we don’t know how this new regime is going to impact on those old provisions. We have to assume that the old provisions will apply, because everything they are doing here is designed to restrict Canadian employers’ reliance on foreign workers, and to focus on the overriding desire of our government to ensure Canadians have the first opportunities for positions. The fifth item to be aware of is that they are looking at cancelling all of the provincial LMIA exemption agreements. So provinces like Alberta, BC, Ontario, Nova Scotia, and Yukon currently hold agreements with the government that create exemptions to the LMIA process for certain occupations. So in Alberta the pilot for certain trade level occupations whether it has to do with mechanics, estimators, etcetera, they are now looking at possibly cancelling these agreements. Now they haven’t happened yet and we don’t know what the full scope of it is, but we can look definitely into the future to see that the government is going to be making it more and more difficult for companies in these locations to do a whole lot more than they currently are to show there’s no Canadians to fill these positions. It’s clear that they have no intention of signing off on any new pilots that give employers the ability to hire temporary foreign workers without hiring Canadians first. The sixth item is a heavy-heavy emphasis on transition plans for high wage positions. Now this is something that they’ve discussed in the past, but they are very serious about it now. In fact we now have a schedule C that is approximately 10 page document that companies have to fill out to show how they are going to transition away from reliance on a foreign worker– a heavy foreign worker compliment within their workforce, and transition to Canadians. So they need to show that they have demonstrated efforts to train Canadians, and that they are participating more actively in apprenticeship programs. Also that they are assisting temporary foreign workers into transitioning into permanent residence status versus allowing them to remain on foreign workers– on work permits at this time. So you can see these are just some of the changes that are happening. Now as we look closely at what the government is doing here, they are clearly making it as painful and as difficult as it can be for employers to secure work permits for foreign nationals. Why are they doing this? 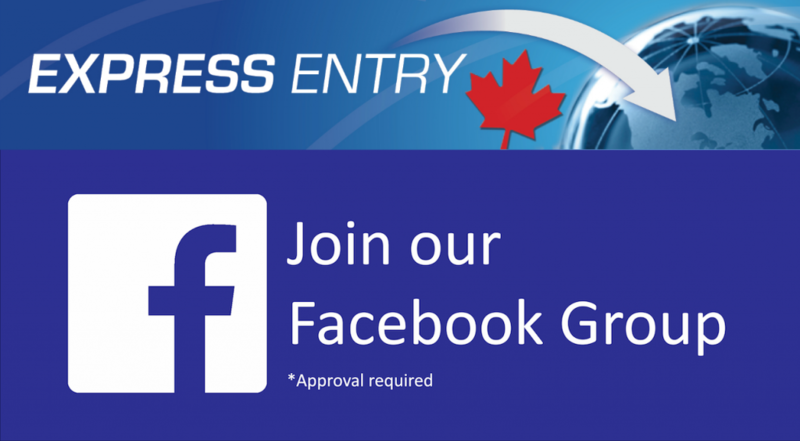 Well, as we know in January of 2015, they are going to be unveiling the new express entry category for permanent residence, which is designed to fast track individuals, foreign nationals into permanent residence status in Canada, where they are filling areas of critical skill shortage in our country. So in essence they are trying to push employers away from the foreign worker program, so that they rely more heavily on permanent residence. And obviously if a foreign national comes in directly as a permanent resident, they do not have to worry any more about maintaining compliance and enforcement of the foreign worker program. So they are really pushing employers in my mind to reconsidering their reliance on foreign workers, and instead looking at recruiting directly permanent residence or soon to be permanent residents from abroad. The seventh item on our list here is the expedited processing of LMIAs for certain categories. So this is a bone that they’ve thrown back to employers to allow those employing workers in the highest demand positions, highest paid, and those of the shortest duration, they can get LMIAs faster. In fact they’ve indicated that they will be accessed within ten days. Now if we look a little bit closer what do they mean by highest demand, highest paid and shortest duration. If we take a look at our — at the highest demand, this is occupations where there’s a real shortage and companies within particular industries really need these positions. Right now these categories for highest demand are restricted to skilled trades. And they indicate that they will likely, or I should say they may expand this into the future. As an example of some of the highest paid positions, physicians are listed however on the ESTC website for foreign workers. There was a comprehensive list of wages per region, and so in Alberta generally the high wage is $100,000 annually a year. And any employee paid above that would fall — at this stage he would appear into the highest paid category and eligible for ten day processing of the LMIA. Shortest duration work permits typically fall — well, typically include individuals coming in to perform repairs, to manufacture equipment, or conduct warranty work or things of that nature, where there’s a truly specialized service being provided, and the duration of entry into Canada is no greater than four months. Also we have heard that for every four month period an individual comes into Canada, they then have to be outside of the country for a year before they can come in again under this exemption. Presumably if the company was relying upon this and needed to bring the worker back sooner, they would need to apply for a full LMIA. The eighth item on the list is one of my favorite, a new job mark service for employers and Canadian employees. Now this is not quite out yet, we are just waiting on further instructions from the government. However, I would classify this or compare it to Lavalife or eHarmony for employers and employees. The idea behind it is that employers will be able to search through resumes, and vice versa employees can look for jobs within the job bank on this job matching service to better connect Canadian employers who are trying to find Canadians with the skill set and experience that they need. Now I have my own feelings on whether this will really help to allocate Canadians to job openings given the fact shortages are what they are. However this is government’s attempt to try and make it easier for employees and employers to meet. So it is a valuable resource for unemployed Canadians searching for employment, and those who are under employed for seeking better opportunities. However, it may also put pressure on EI recipients who are struggling to find employment in their field. So a job bank full of positions matching an EI recipient’s qualifications would service pretty good evidence to support an EI officer’s assertion that maybe that recipient wasn’t doing enough to find a new position within their field. And I wouldn’t be surprised if we see EI benefits being tied to individuals maintaining an active resume on this job market site. However that’s purely speculation on my part, but it is an interesting thought to think about. Now we are getting into, with number nine some pretty important things for employers to be aware of. In addition to all the previous ones, this is one you had better listen to. Stronger enforcement measures are now being implemented which include severe penalties for non compliant employers. Effective immediately the government has said that they will inspect one on every four employers accessing the program each year. Now this is a significant increase in inspections, and obviously they are going to have to rely on not only random audits, but they will be utilizing the tips that come from the public, and also targeting employers who have previous violations with provincial labor laws and other employment standards legislation. So they’ll use these things or these trigger points to then reach out to employers to see if they are compliant. By the fall of 2014 ESTC has also indicated that they will be able to force banks and payroll companies to release information such as bank records and pay roll documents to help their inspectors verify employer compliance. This is the new world that we are looking at. And in addition when an employer is faced with a site visit from one of these inspectors, they will not be looking at just whether their proper wages have been paid, that the person is working in the proper occupation, that the working conditions overtime etcetera are all being met. But all 21 program requirements will be looked at including provincial labor and recruitment laws, whether the LMIA commitments with respect to job creation or retention of the hiring of Canadians, whether all of those have actually been met. Or the company is at least well under the way in satisfying these requirements. So employers beware a special tip line is being set up and more is actually on April of 2014, and you can go to the ESTC site to see this specific page. And it’s designed to allow for easy and secure reporting of abuse by those who happen to see it. So no longer is it difficult for people to run out fellow employees, or to if they are disgruntled employee, a Canadian has been fired, a company better make sure that they have all of their records well at hand, and well organized and able to be producible, and that they are fully compliant. Now the ramifications of non compliance are significant, if an employer breaks, or is suspected of breaking the rules of the temporary foreign worker program, the ESTC in the case of a suspected breach can suspend the employer immediately from accessing the program including any LMIAs that are being – they are in the process of being adjudicated or issued. They can even revoke an employer’s LMIA that has been issued already, and institute fines of up to $100,000 and if an LMIA is suspended or revoked, even if it is suspended for a suspected breach, the name of that company would be placed on the public black list. So this is once again a situation where we can see the government is really cracking down on what they believe to be employers who are abusing the system. And in essence what they’ve created here is a process of guilty until proven innocent, especially when there’s just an allegation that results in the name of an employer being placed up on up on the naughty list. Now employer suspected o criminal activity under the act which is different than the ESTC non compliance with the LMIA. Any employer suspected of criminal activity which is described as illegally employing foreign workers, misrepresentation or even cancelling misrepresentation, can face fines of up to $100,000 as well as up to five years imprisonment. And the government just to further assert their resolve provided examples of an immigration consultant in Winnipeg who is fairly recently sentenced to four years six months in prison, and ordered to pay in restitution over $380,000. So this is the world we are in and employers can no longer carry on without adequate records and 100% compliances as they did in the past. Now the last kick in the teeth if you will is an increase in fees once again for each LMIA applied for. The fee is jumping from $275 to a full $1,000 per person regardless of whether they are considered to be low wage or high wage. So it is critical that employers get these applications right the first time, otherwise they are going to pay out significant dollars as they apply for LMIAs and get them refused. Now why are they increasing the fees? Well, if they are going to investigate one on every four employers in each year, they need to increase significantly the amount of enforcement officers, and the entire compliance regime needs significant resources. So that’s– this is where the money is coming from. They believe that it should not be on the backs of the regular tax payer, and that the cost of running the temporary foreign worker program including all of the compliance and enforcement mechanisms associated with it, is to be born entirely by the employers accessing the program. So they are also looking at a proposal to add an additional fee of $100 to offset the cost of skills and job training in Canada, which I find quite ironic given the fact that our dear government itself is very good at off shoring work at our visa offices abroad. They have a whole network of visa application centers all over the world, that are all designed to save the government money by outsourcing. But yet they are doing all they can to label Canadian employers the bad guys, and at the same time institute all of these penalties and infractions against them, if they do not put Canadians first, when ironically Citizenship and Immigration Canada is actively hiring Foreign Service personnel to work in the visa offices that are not Canadian citizens, but are domestic workers in those countries in which the embassies are located. So that’s one conundrum that I find really interesting. Now within the new International Mobility Program and this is the program that oversees all LMIA exempt work permits, we are looking at seeing additional compliance fees of $230 added to every $150 work permit fee. So it’s not yet instituted, but it is coming, and also that’s for all employer based work permits like labor market opinions and also NAFTA based professional work permits, and those employer based work permits that are exempt from the LMIA. They will all see this additional fee of $230 added on to the $155 for the work permit. In addition to employer based wok permits, foreign nationals who are coming into Canada on open permits such as the working holiday program are going to face an additional $100 privilege fee that will be used to increase awareness of opportunities for Canadians abroad, and so currently many more foreign youth are utilizing the exchange programs to come to Canada versus Canadians going abroad to study. So they intend to use this $100 to increase awareness of these opportunities for our Canadian youth to go study and work abroad, I should say go and work abroad and get experience with different cultures. So this is the world that we are in right now, and these are my top ten things that employers should be aware of. Obviously we could have spent hours going through all of these various changes in detail, and there are really more questions that have come up than answers. This is the initial beginning of a new world of utilizing foreign workers in Canada. And so it’s important that employers immediately take action to assess where they are at with the respect to their own compliance. To do immigration audits of their current documentation, and to make sure that they have records that are complete so that when service Canada calls, which is service Canada is the delivery arm of ESTC. When those compliance officers call, or they drop in for a site visit, or trigger an employer compliance review, that the documentation will be readily available and that the employer will have no problems with demonstrating compliance. This is the conclusion of our first podcast; I hope that the information provided has been informative. Any specific questions with respect to the individual circumstances of employers can be directed through our office via traditional consultation as this overview has been limited specifically to general immigration information, and it’s not to be considered legal advice when it comes to managing the individual foreign worker programs within each employer’s businesses. This is Mark Holthe, the Canadian immigration lawyer working out of Alberta, and we will talk to you again soon in approximately one week’s time. Hi Sir Mark have a pleasant day to you and to all your staff. I was planning to apply for PNP her New Brunswick I was promoted as cook 2 months ago and I already took up my IELTS exam last month but unluckily my score was too low I got 4.5 over all result. do you think sir I will be qualified for the program even my IELTS was low. if ever im not qualified for NBPNP can I able to apply for Express entry program even i’m already here. thank you so much and I hope you will send me a feed back regarding about my quire. Jerry, that’s too bad your English score was too low. I recommend that you continue studying English so that you can improve your score. As a cook, you may be eligible for Express Entry; however, your CLB level must be at least a 5 in all four categories. Keep working at your English and doors will open for you. Good luck my friend. Hello Mark,thanks for the podcast it’s been really helpful. Would you be able to tell me if there is anyway I can get a nomination from Ontario or BC without getting a job? I registered on job match 1 week ago after creating my candidate profile, but I don’t have any matches till now.My profile score is 431, I’m not sure how well that will do, so I’m trying to see if I can improve it by any chance, any suggestions will be helpful.